Unicorn3D is a 3D editor suitable for everyone, who wants to learn basics of 3D modeling. 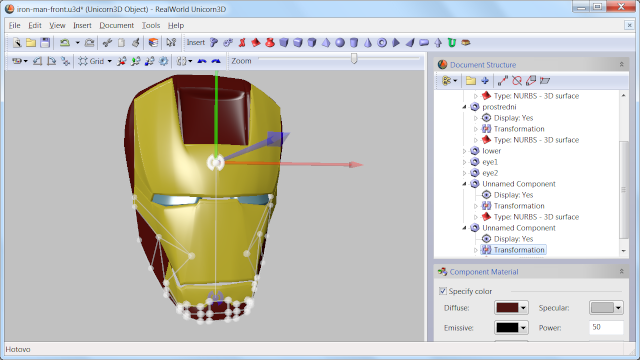 It can be used to build a hierarchical 3D model consisting of basic shapes or custom NURBS-based surfaces. Advanced users may parametrize their 3D objects and create very simple procedural 3D models using iterators, pseudo-random number generators and expressions. Unicorn3D is free to use for any legal purpose. Author is not responsible for any damage caused by improper usage or an error in the tool. I agree about Blender being better . why is this a 3D Model :-D! is this opening txd and dff files? So it is close to blender but blender is better? !